For 120 years, The Salvation Army’s Christmas kettles have been synonymous with the holiday season and the spirit of giving. Kettles are already on the streets in more than 2,000 locations across Canada, collecting spare change and cash from passersby to help us serve more than 1.7 million vulnerable people in 400 communities across the country each year. After a break of a few years, we’re back with another year of providing our online friends in Canada an opportunity to make a difference in the lives of people in need. (American readers: Just wait a few paragraphs!) The program in Canada is called iKettle. Any of my Canadian readers can host a kettle with a few clicks of the mouse. Donations stay in the community where you live, so if that’s Winnipeg or Calgary or Ottawa or Halifax or some place in-between, that’s where the money will be applied to the Salvation Army Family Services branch; including smaller towns where they have an active presence. I really hope you’ll help us launch this over this weekend. We will be repeating this appeal on the blog several times during. Our giving can meet the needs both in overseas relief and development and in the cities and towns closer to home. This is an opportunity to do something on the domestic front in yet another year that’s been rough on many people. *For my American readers there is a secure online donation website just for you. There are also online opportunities to give in most parts of the world where the Salvation Army operates. 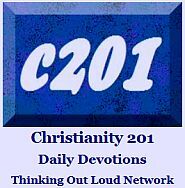 This is a trusted, respected ministry. When you give, you’re giving locally. But don’t just give. Consider volunteering. Share the link to this article with Facebook friends. And by all means, find one of the many books that tell the William Booth or Salvation Army story and read every page. Also check out these Booth quotations. Strike Up The (Salvation Army) Band! 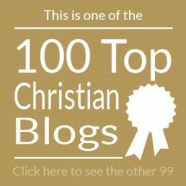 Q: Why are there no Salvation Army bloggers? A: While everybody else is writing about it, The Salvation Army is out there doing it. This year the Army celebrated its 150th anniversary. While reading an infographic on the back page of the Canadian edition of Salvationist I learned a few things. In my part of the world this is the time of year the local corps (congregation) raises its entire year’s budget for the Family Services division. They can’t shake the sleigh bells anymore — retailers think it’s too disruptive, though the atmosphere it creates is great — but they are present in or at a number of grocery/department stores here. Many people here don’t carry cash anymore. 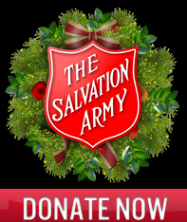 For that there are online kettles in most parts of the world where the Salvation Army operates. 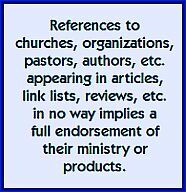 This is a trusted, respected ministry. When you give, you’re giving locally. (Do your giving / while you’re living / so you’re knowing / where it’s going.) But don’t just give. Consider volunteering. Share the link to this article with Facebook friends. And by all means, find one of the many books that tell the William Booth or Salvation Army story and read every page.